People who are in the United States illegally would be allowed to obtain a Wisconsin driver's license or ID card under a plan proposed by Gov. 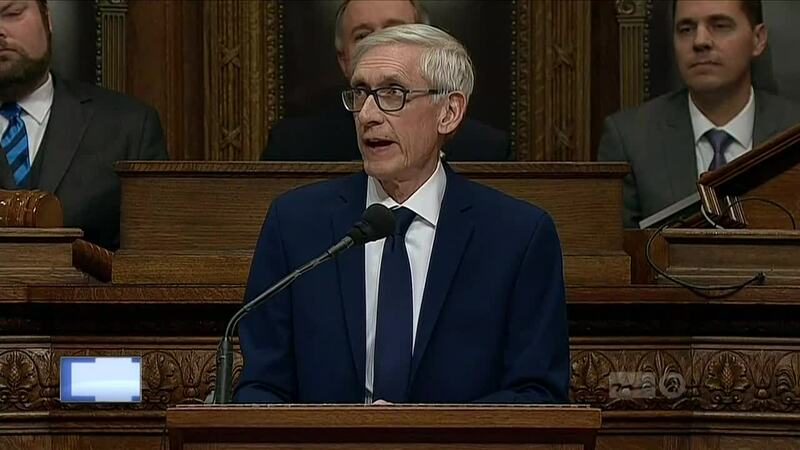 Tony Evers. Evers thinks providing licenses and IDs to undocumented immigrants would be good for the economy and make the roads safer. State Republicans argue it promotes illegal activity. The opportunity to have a driver's license is a right many Wisconsinites likely take for granted, but for tens of thousands of undocumented immigrants, getting behind the wheel could result in separation from their families. "It's sad, but people have been walking to work. Why? Because of fear of being pulled over, even in those tough conditions people do walk," Josue Davalos of Racine said. One of those people is Davalos' father. "My father doesn't deserve that; my father is a regular human being," Davalos said. "He goes to work, that's all he does to provide for myself, the rest of my brothers as well." Evers proposes joining 12 states, plus the District of Columbia, in allowing undocumented adults to drive. California, Colorado, Connecticut, Delaware, Hawaii, Illinois, Maryland, New Mexico, Nevada, Utah, Vermont and Washington are the states that already have this law in place. "It's not just giving people driver's licenses, it's getting them to work," Evers said. "People will be required to have the training and making sure they know how to drive." For Republicans such as state Rep. Adam Neylon, this is not an area in which they're willing to compromise. "It's a nonstarter because, first of all, we shouldn't be incentivizing illegal behavior," Neylon said. Neylon believes this proposal and most of Evers' budget will be scrapped by the Republican-controlled Legislature.